There are a number of myths about property investment held by those not investing in property. One of the main myths is that property investment has massive tax advantages. This is getting to the magnitude of one of the great rugby myths, that Wayne 'Buck' Shelford was dropped from the All Blacks after a fight with coach Grizz Wylie. What happened back in 1990 was that Grizz and the other selectors thought 32 year old Buck’s form was dropping and 25 year old Zinzan Brooke’s form was too good for him not to play all the time. Property investment is actually tax disadvantaged nowadays. The depreciation rules and classification of the capital/revenue boundary are two examples of this. Property investors have harsh depreciation rules applying to them so we can no longer claim depreciation on building structure, we cannot claim the 20% loading on new assets and we have had many items of building fit-out previously considered to be depreciable now classified as part of the building structure with no depreciation expense available (refer to the Inland Revenue publication IS 10/01: Residential Rental Properties – Depreciation of Items of Depreciable Property). A large number of property investors don’t bother claiming depreciation expenses on their rental properties nowadays. Other businesses don’t have the same discrimination. In terms of the treatment of income for property dealers (traders) there is a tougher test than that for those buying and selling shares or businesses. You have to hold a property with no firm intent of resale at the time of acquisition. Then you can hold it on capital account and not be liable for income tax upon resale. Whereas if you own shares or a business it is much easier to hold these assets on capital account, as you can have an intent or purpose of resale at the time of acquisition. It just cannot be the dominant intent or purpose. What property does have is a significant leverage advantage to most other investments. Loans at 95% (of the lesser of purchase price and valuation) are offered for your own home, and whilst loans at 80% for investment properties are commonplace they can be higher. BNZ has been popular with property investors with their 85% loans without payment of lenders’ mortgage insurance premiums. Commercial property loans are more typically around 65% of the value of the property. The level of lending available shows property is perceived by many very large financial institutions to be a safe asset. With the changes to the depreciation rules made last year we are not going to see properties split into over 50 component parts and to have such large depreciation expense claims. In addition there has been a move back towards fundamentals and investing for cashflow. As a result this graph based on a developer’s sales presentation in 2005 will not be used. This is a pie graph showing how the property’s interest and other expenses are paid. The tenant only pays 59% of the outgoings. This is an example of negative gearing, so tax losses are made since interest and other expenses (eg. rates, insurance, repairs and maintenance). When these property losses are subtracted off against your other income, you pay less tax. This is the “paid by the taxman” pitch some of you will have been fed before. The depreciation rules have been changed and this has hit property investors’ pockets. There were some legal structure changes with the abolition of Loss Attributing Qualifying Companies (LAQCs). However this is just an annoyance to investors rather than a game changer. Many investors simply elected to be Look Through Companies (LTCs), and a number morphed into Partnerships and invested in their own names (sole traders), to claim losses against their salary/wages. The fact is that many thousands of investors still have property investment portfolios making losses. This is despite the depreciation changes which have reduced many property investors cashflow, and interest rates coming down meaning most property investors greatest expense (interest) has reduced significantly. If you could only deduct interest on a loan to 50% of the council valuation of your property there would be a large number of investors that would no longer be making tax losses. If you couldn’t deduct any interest at all, property investment would be a massive taxpayer – it is just that you would have very few property investors and cripple the country’s resources as Housing New Zealand would have to provide accommodation for hundreds of thousands of New Zealand, with a private landlord exodus. So my point is to dispel the myth that property investment has tax advantages. In fact property investment is disadvantaged from a tax perspective. Property investment has a leverage advantage, and this is what property investors need to be a little cautious of. We don’t need to bring back past great Buck Shelford either. Lets just hope Kieran Read recovers in time for the business end of this Rugby World Cup. 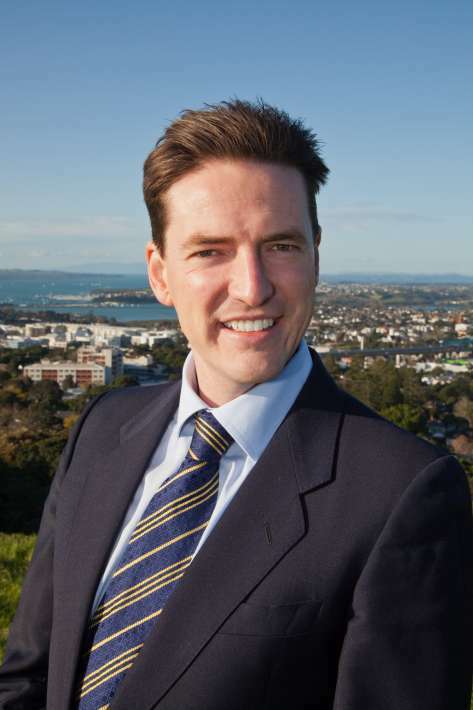 * David Whitburn is a solicitor and rental property investor who is the President of the Auckland Property Investors' Association. See more detail on David Whitburn here. He has just published a book called Invest and Prosper with Property. Property 'investors' do have a tax advantage, David Whitburn.....it's over other property owners, owner-occupiers. That is the problem. It is an asset class with two distinct classes of participants; one with an advantage over the other. It matters not that you compare property as a business with other businesses. For 'other businesses' all intraparticipants compete on a level, the same, playing field. Either all property owners should get the same tax treatment, or none should. A business that owns a motor vehicle receives a tax advantage over an individual who owns a motor vehicle...do you suggest we change that as well ? Not the old "car" chestnut again, Kermit! If you don't have a car, you can walk to work. If you don't have a roof over your head, either owned or rented...you will likely die. Housing is an indespesible necessity, right up their with food. I don't mind if you want to analyse car financing as an independent discussion .But this piece by David Whitburn is about the idea that " property investors have a tax advantage is a myth" It is not a myth; it is fact. The IRD will not allow people to 'rent their own homes from themselves' and there is therfore an advantage to those other than owner/occupiers. Agree with it or not, that's fine. But that fact there is a different tax treatment for one set of owner, versus another, in the IRD's eyes is proof in itself off that the fact that tax advantage is no 'myth'? If there is no tax advantage to investment property, why's David Whitburn so fired up about losing it....if it's not there in the first place... and he sure isn't competing in the market for another little renter in Takapuna, with the purchase of a Ford Falcon! "So, in effect, you have ... the tax-man helping to pay off your capital-appreciating asset! And that, in a nutshell, is why property investment is so popular in New Zealand." Link from ~ New Zealand Mortgage Brokers Association. NA, with respect that is a silly suggestion on your part. Presumably most, if not all, property investors have their own house which is exactly on the same basis as everyone. Any business that has an income and expenditure should be treated equally. Not an obvious presumption at all, muzza. Many articles in the press over recent times are along the lines of " I own a renter, but rent my own accommodation" The inference being that it is cheaper to rent your own accommodation off another landlord ( by and large, it is!) and then rent out 'your home' and get the tax incentives to minimise the costs. And re CGT. Of course I agree with it! It's no different to what we have now, but we call it 'income tax'. The problem is that it can be averted; lies can be told to the IRD and money can be made. We have to get rid of that for all sorts of reasons. And ,yes. Income Is income. If any capital gain is made on 'the family home' it should be taxed, just as all income should be. My only qualification is that the gain should be adjusted for CPI. If a dedicated family home ( one per family, designated at purchase time) has gone up 10% flat over 3 years and the CPI has been at 3% p.a., then no net tax is payable If it's gone up 15%, then the tax is payable on 5%.. The tax advantages are/were blatantly clear. Buy property, rent it out at a loss equal to salary or income so you pay no tax on that. Never declare CG's ever you have made, put all CG into another property, continue on and on until you have multiple properties at the expense of everyone else paying taxes on their income regardless of their single mortgage. Once properties are paid for then unload continued depreciation and maintenance costs to again offset all income tax. Retire and claim your pension having NEVER put a cent into the Tax fund via your income. A lot of us stopped reading when he began gibbering about idiotic rugby trivia. I agree Malarkey shameless self promotion on the back of rugby. The point is or should be that property prices rose substancially due to tax deductions that were able to be claimed at the time. Now if the aurther of the article is correct house prices should be falling by an equal amount. Ofcourse just like the Bring Back Buck campaign that wont happen. This article is just plain cobblers. In NZ, uniquely, you can claim all the costs & annual losses of the rental against your primary income, and then sell with a nice tax free capital gain at the end. That is why NZers love owning rental properties. That is why there are is about five times more value invested in rental property than the share market. ... & all those rentals don't add a cent to NZ's production or exports. It is a crazy, insane system that leads to misallocation of resources and is driving the country to penury. All gains at the sale of the property should be subject to tax, just as other income classes are. Period. Mate when every MP has investment property what hope is there of change??? Yes, good point, its a b****y corrupt system, isn't it. Please explain this statement (bit like the longterm super funds, where they have negative net value for years!) . I hope I misunderstood it. "You have to hold a property with no firm intent of resale at the time of acquisition." More cobblers. I have yet to strike a landlord selling his/her properties who has had to pay tax. They always seem to be able to slime out of it. I'm sure that there are those that get caught by the IRD, but what proportion are they? Sweet FA, I would imagine. The trouble is, there are so many of these clowns now that they are a huge voting block, & by wailing & sobbing can prevent politicians making the must-needed changes. All my life I heard about how real estate was a rock solid investment so I finally bought 2 negatively geared investment properties in 2006-2007. I was adviced that properties in good location will always gain in value and that negative gearing would be a tax efficent investment strategy. The reality is quite different.....in one of the properties that had remained vacant for weeks, I am now stuck with tenants that are late with their rental payments . Inspite of claiming all the tax advantages , I have lost nearly $30,000.00 in just 4-5 years and it continues to sink. Recent independent valuations show that I may lose another $50,000 -$70,000 if I sell both of them today. At this rate it may take 15-20 years to make any capital gains if I do at all. I feel that in the current economic scenarion, investments in negatively geared properties is a bad strategy and have learnt the hard way that properties will not always rise in value. Well what can I say......um how about its even worse than that IMHO. So once houses collapse in value, buy back in.....but it could take 6 years to reach bottom from today.....the real dip start could be this year or up to 12 at most 18months out....IMHO, then add 5 years, so 10% per year losses.....drop could be as fast as 3 years....losses then of course are 20% per annum....but I wonder if our society could survive that at all. Right now its all about capital protection....someone and that unfortunately for you is looking like you, has to be left holding the worthless assets when the music stops....the "wise" have to seel to someone to collect their gains.....or they will vanish. For myself I sold all my shares etc in June 2010, cleared a lot of my debt and now Im waiting....getting piddling amounts in a deposit account mind......but its an almost risk free rate of return...and its highly liquid. I agree Steven, deflation is coming. It is how credit bubble's burst. If a bubble creates inflation then the bursting will bring the reverse. If you're a property investor and your interest bill and other property related expenses exceeds your rental income, you can claim the difference as a deduction against other taxable income. But if you're a first home buyer and your interest bill exceeds the rental value of your home, you CAN'T claim the same deduction.If first home buyers could CHOOSE to be taxed as investors, they could claim negative gearing and LEVEL THE PLAYING FIELD. Ditto,,, I am out,,,too costly, to high risk,,, I have just had to tell long term tennants to find another place...I sold the house for 42k less than I paid for it so I am on the back foot for depreciation claimed as well. My tenants were good about it,, but they said,,, They cant find another place in the area that meets their needs because all the landlords they have asked want much higher rent now or month by month contracts so they can get out quick... as a tennant this does not provide a very secure "roof" for them.. Here are the tax advantages, that are not unique to rentals but in any other situation are illogical business descisions. Negative gearing has been oversold as a tax advantage for rentals, it makes no sense when applied to any other investment, because a business or paper asset that is running at a loss would be losing value fast. So the expenses are met by taxpayers (this also puts landlords into the net tax recipients catagory). Intent is only a word and difficult to measure Olly and Big Daddy have pleanty of advice on how to be deceptive in intent. (Be subtle even to the point of soundlessness, Be mysterious even to the point of formlessness.) So tax free CG on rentals has also been oversold, now you have an apreciating asset, that is running at a loss, and earning tax credits from the govt, where are you paying the tax? What tax could you possibly pay? Income tax-No, Company tax-No so theoreticaly if you are stupid enough to get enough levereged property on an interest only mortgage and negatively geared you would be paying no tax at all, while still earning income from a job and making capital gains on your property. I don't understand the part about depreciation on renovations and additions, they add value according to olly in the order of 300%. In conclusion the spin on property having no tax advantage is untrue so I can only conclude that Buck Shelford was dropped after an argument with Grizz. Bring back BUCK! 1) capital (ppty and shares etc) have a clear advantage over income (eg interest in a savings acct). the former are generally exempt, the latter gets the full force of the marginal rate. This is a disgusting distortion that discourages savings and profitable activity. 3) leverage is far greater in ppty, therefore the deductions and cost to the taxpayer is far greater. That said, I am more than happy to apply the same rules to any type of investment. I have a friend who bought a small block of flats, about 4-5 years ago. He bought into the "claim the losses but don't pay tax on the gains" scenario. He tells me now that he has been claiming all his losses, is now over 60, & would like to cash out. But the block is now worth about $100,000 less than when he bought them (this isn't Auckland). & being highly leveraged (as he was advised), he is basically underwater on them (which makes the perennial "don't-touch-shares-as-you-could-lose-all-your-investment" argument in favour of bricks & mortar look less convincing). Now, I have no sympathy for him, why should you make $$$ courtesy of a tax-payer funded scam? But still - think of how wasteful this is. He has sucked in $$ from overseas (Oz) for his loan, hasn't produced a productive $ for the country, has cost the long-suffering taxpayer a fortune, & is looking at going towards retirement with his funds in tatters. Lose-lose-lose all around. & the Govt encourages this thru its bizarre tax code. If we had a comprehensive CGT, this lemming-like behaviour wouldn't be encouraged. People would spread their investments around based on risk and returns, not on a scam. The only bizarre thing about the example given is the silly logic that owing flats is a "scam" sucking in "$$$ from overseas". The over arching benefit to the community by the investor described is that he provided accommodation to those who needed it so they were not leeching of the government ( aka the peoples) purse. He may have been silly to buy for spurious tax reasons but he provided a valuable service in return. This fact is too often forgotten by the screaming left wingers who infest this site. "The over arching benefit to the community by the investor described is that he provided accommodation to those who needed it so they were not leeching of the government ( aka the peoples) purse"
He bought the flats that were already there - providing benefit already! He didn't build new ones. If he didn't buy them, they would still be there - providing accomodation. He has just tried to make money, not provide a service. If that landlord didn't own the flats, they would still be there. Either owner occupied or owned by another landlord. The only person that added a service to community was the initial developer. Not sure why you are trying to compare the whole sell to another landlord to manufacturing though? More resale. Sorry NA, that is more garbage. You are as usual talking theoreticalyl speaking and not what happens in practice. I owned 3 rental properties and they were let out at 'competitive' rents. One rental had a tenant in who didn't pay rent for 4 months, but the legal system allowed them to stay there until we proved they had paid no rent at a dragged out Tribunal - even though they were receiving payment from WINZ. Another one had a tenant who paid 8 weeks of a 12 month Fixed Term Tenancy and then walked out - went to court and another dragged out Tribunal the Judiciary ruled in their favour - we ended up with nothing out of a $22K contract plus over $5Ks worth of damage, that we didn't get a cent back. On paper rentals look superb, especially if you are in AKL, but the rest of NZ not such a great idea. You have to take the hits while you are making such a fantastic CG. The taking away of depreciation on a property that has been legitimately depreciated and not had the fixed assets 'split' just means that we have less money and therefore have to put up the rents. The depreciation claim was that at most, it was an interest free loan. Sorry NA, that is more garbage. You are as usual talking theoretically speaking and not what happens in practice. I owned 3 rental properties and they were let out at 'competitive' rents. One rental had a tenant in who didn't pay rent for 4 months, but the legal system allowed them to stay there until we proved they had paid no rent at a dragged out Tribunal - even though they were receiving payment from WINZ. Another one had a tenant who paid 8 weeks of a 12 month Fixed Term Tenancy and then walked out - went to court and another dragged out Tribunal the Judiciary ruled in their favour - we ended up with nothing out of a $22K contract plus over $5Ks worth of damage, that we didn't get a cent back. On paper rentals look superb, especially if you are in AKL, but the rest of NZ not such a great idea. You have to take the hits while you are making such a fantastic CG. The taking away of depreciation on a property that has been legitimately depreciated and not had the fixed assets 'split' just means that we have less money and therefore have to put up the rents. The depreciation claim was that at most, it was an interest free loan. I never understand a landlord that claims they would put up rent if their costs go up. Surely you charge the highest rent you can possibly get already? IE Market rates and what people will pay. I've read that a few times and still don't fully understand it. You charge less because you want poeple with less committment and less housetraining? In another comment below you discuss the problems you are having with lower end tenants. My comment was based on the fact that in any business, you charge what the going rate is or the best you can get and I don't agree with any landlord (or businessman) that says they will put prices up if the costs go up. Sell price is based on what people are willing or able to pay and you charge what is best for you in your circumstances. The other point is not connected, but wholesalers and retailers add value by buying in bulk and splitting to smaller quanitities or by having stock available instead of waiting for anything to be made - but you knew that already. When renting out properties you have private renters and WINZ renters. Not always, but often, WINZ tenants have little responsibilty, as they can go anywhere to rent. There is no blacklisting, even a TT ruling against them doesn't stop them from getting accomodation. They just rent under someone else's name. WINZ pay their rent - it doesn't come from their earnings. So some landlords charge high rents in areas where there are a lot of tenants on benefit. Often these properties have damage done maliciously to them - but the landlords don't care. Don't think that all tenants are unfortunate people and all landlords are rich pricks. Sorry Craig that is incorrect. As a landlord, I don't charge as much as I can get, I used to look for the best tenants - they aren't always the ones who pay the most. Actually, frazcam, I'm arguing 'your corner'! It's exactly the type of problem you've had with rentals that dictate that rents should always be HIGHER than the cost of ownership ( to guard against ther sorts and experiences you've had). They aren't, because tenants can't( income restrained) or won't ( alternative cheaper choice) pay any more. Therefore something in the equation doesn't stack up. We have two imputs to any investment : Price ( investment money) and return ( after cost yield) Return isn't going to rise in an economy that's on the brink, so the only component that will change is - price. That's lower prices for property, frazcam...and all this BEFORE any more tax changes that will come ( National's depreciation change being just the first baby step). I wonder where we are on the ringfencing discussions, the next step? The problem is NA, that for years, successive governments have 'pushed' investors towards property, as an investor you look for the best return for risk on your money. Then all of a sudden, a voiciferous minority shout this is wrong and the government changes the rules. It sounds as though some people don't have any decent suggestions for people wanting to better themselves, they just berate people for wanting to do it and make things harder for those to set things up for their retirement. Property investors should be encouraged, not discouraged by thinking what rules are they going to change next. We have spent tens of thousands of dollars on local businesses in the last few years through property - builders etc. How much does the detractors spend in their local communties or those who hold portfolios, how much do they spend locally? You're right, frazcam. Governments, in all Western counrties - bar Germany, encouraged property investment as a means to 'wealth' ( witness the sell down in council flates in the UK or the States presidential policy that' every man shouldl own his own home" etc). And look where it's got us ...ALL! Just because 'they' pushed us in that direction, doesn't mean they will continue to. No point following failed policies that have brought nearly all of christendom to its knees! So, policy will change...it has to. The secret to any investment, is to 'get out' whilst the going is good; or at the very least, when the road ahead looks dicky. What do you think it looks like? All I see is a Government public debt worsening by the day. That debt has to be repaid from New Zealand's store of wealth. That's in our, your, residential property. It's extracted through...tax policy..one way or another. Remind me not to buy this fellow's book. If he writes his book the way he has written his article then it will be a tough old read. I'll pass I think. Living in Clover - how is Japan (Tokyo) doing 7 months after the Fukushima disaster ? Tokyo under illusion that things are normal while Fukushima remains a war zone.